My head is brewing with ideas on how to keep my cuticle layer happy while reducing shedding. This morning, I came across a wonderful article that inspired me to try something different this weekend. The article, titled The Shampoo pH can affect the Hair: Myth or Reality talks about how an alkaline pH increases a negative charge of the hair's surface which increases the amount of friction between the strands. The result of all the increased friction is long term damage to the cuticle and breakage. They go on to say that shampoos with a lower pH can cause less negative charge on the surface of the hair. Then I got to thinking. I've done ACV rinses in the past and enjoyed great results. What would be the pros and cons of adding a little vinegar to my shampoo? Shampoos are meant to cleanse the hair and scalp. Since a lot of people are only applying shampoo to the scalp, why not apply a shampoo with a pH level that would also keep it healthy? 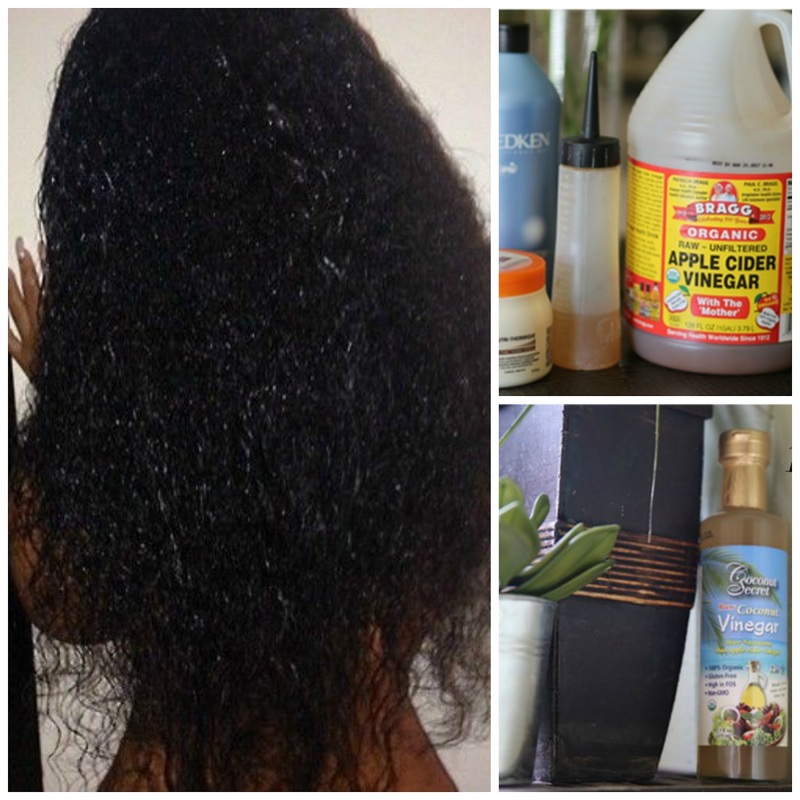 Another wonderful benefit of apple cider vinegar is that it can help clarify the hair/scalp, removing product build up and hard water residue. The effects of this are mild so it still makes sense to do a deep clarifying every once in a while. It may seem a little counterproductive but smoother cuticles during the wash could be a good thing. First, it could reduce the risk of breakage when the hair is most fragile (wet). Secondly, this could help reduce the amount of tangles during the shampoo. Third, smoother cuticles can make it easier to apply deep conditioner after the wash. There can be quite a bit of manipulation as I part my hair in small sections, so it makes sense to positively charged strands during all of that friction. I guess the only con is that closed cuticles during while applying conditioner could hamper the amount of conditioner that gets absorbed by the strand. But, all of that can be easily rectified by sitting under the dryer or steaming. Honestly, I only care about open cuticles when I need it. And I only need open cuticles when conditioner is sitting on it. After that, I want everything closed again. Which leads me to the next point, using vinegar in the final rinse to close everything back up again after the final rinse. I also understand the slight risk of dry hair from overusing ACV. That's why I'm experimenting with coconut cider vinegar which, to me, is milder than apple cider vinegar. Can't wait to try it this weekend. Does anyone have experience doing an mixing acv with their shampoo? Thanks for the tip. I'm going to add a teaspoon of vinegar to my shampoo in an applicator bottle, my next wash day. This is not a bad idea at all. I've done ACV rinses as the final step in my wash process and have used ACV in my pre-poo mix but never the shampoo.